My heart is broken for the parents teachers and friends affected by the horrible tragedy in Florida yesterday. The sad truth is this could happen anywhere. The question we have to ask is how have we come to this place as a nation, as a people? How could anyone could believe that the murder of innocent people is the answer to whatever issue they might have? As a nation we have turned our back on God. We have kicked him out of our schools and for the most part out of the public arena. We read in the Bible the consequences of doing so. But many disallow the wisdom found there as a superstition and myth, a fable for the uneducated and unenlightened. Undoubtedly there will be fresh calls for gun control, and there probably are steps that could be taken to curb the availability. But laws do not change people’s hearts. And nothing will change until the hearts of people are changed. Please pray for all those who have been touched by the horrible tragedy. And as you pray for the comfort and peace only God can give in times like these, pray that He would use this as a way to turn hearts towards Him. 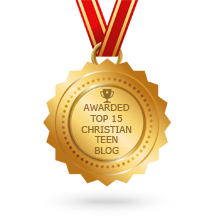 This entry was posted in A CLICK A BLESSING TODAY, Christian Teens Blog JF, CHRISTIAN TEENS BLOGS, Christian Teens Blogs - He is my Peace, Christian Teens Blogs - He is my Peace, Light and Refuge, SHARING STRUGGLES, TAPESTRY TREASURES and tagged Florida, prayer. Bookmark the permalink.